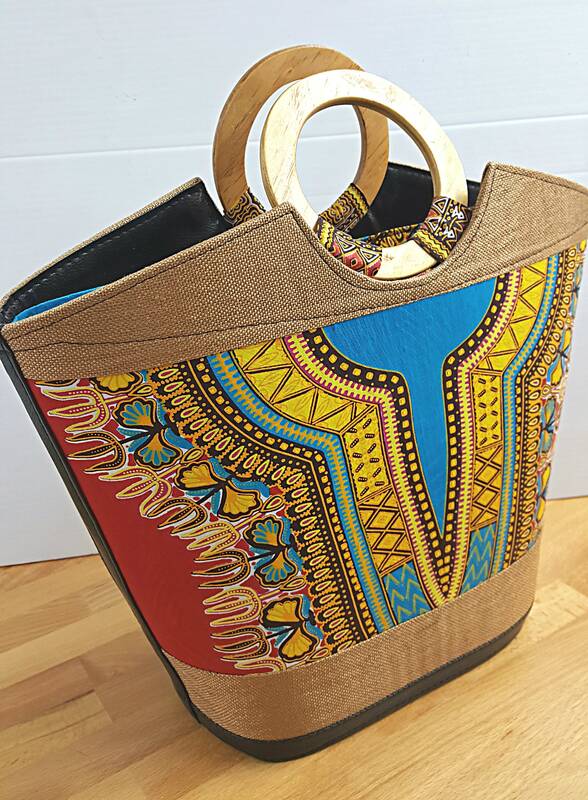 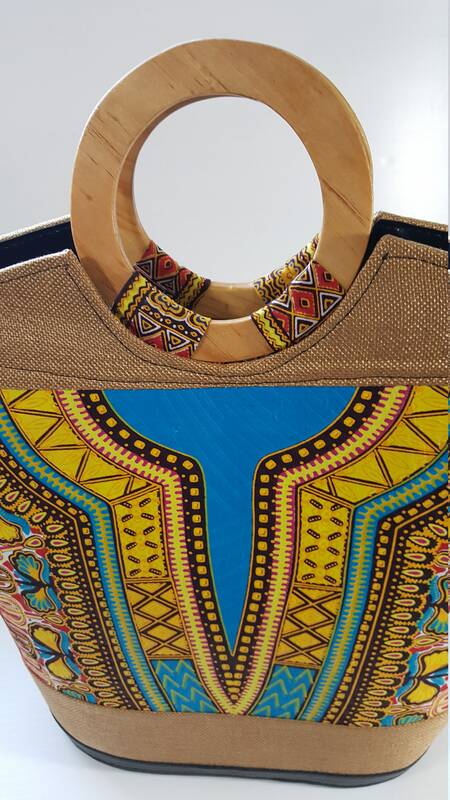 Unique, colorful handbag made with authentic African fabric and real wooden handles. 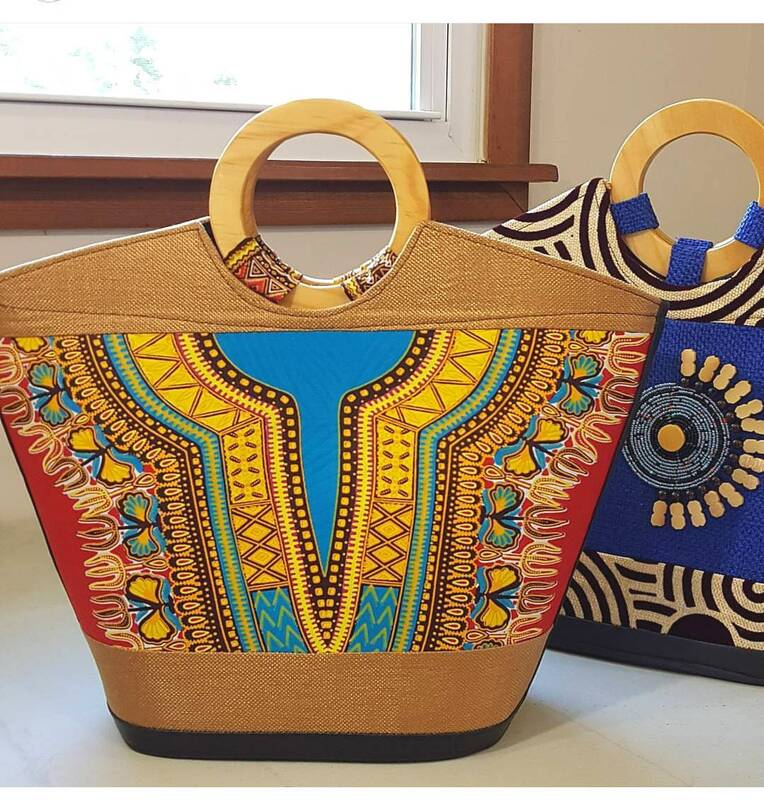 Wonderful cultural addtion to your wardrobe with matching purse included. 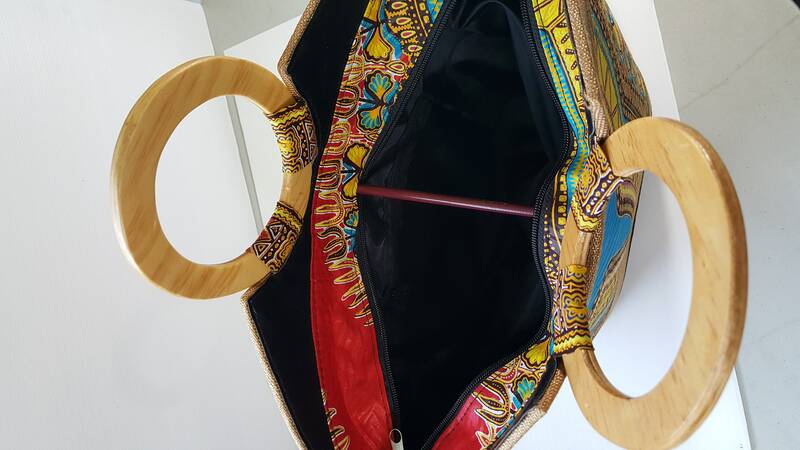 Zipper enclosure with a small a zipped pocket inside.